The latest generation of Neighbourhood Electric Vehicles (NEV) is set to hit the streets -with the launch of the Eli ZERO. Eli Electric has created Eli ZERO a compact two-seater which has a top speed of 25 mph and will debut officially in January 2019. With a beginning MSRP at $10,900, for a small refundable deposit, drivers can pre-order their Eli ZERO via Indiegogo at a discounted price as low as $7,899 until May 18. A select number of backers can lay claim to one of the first 10 production units produced plus lock-in the lowest possible price by making a fully refundable deposit of $7,699. 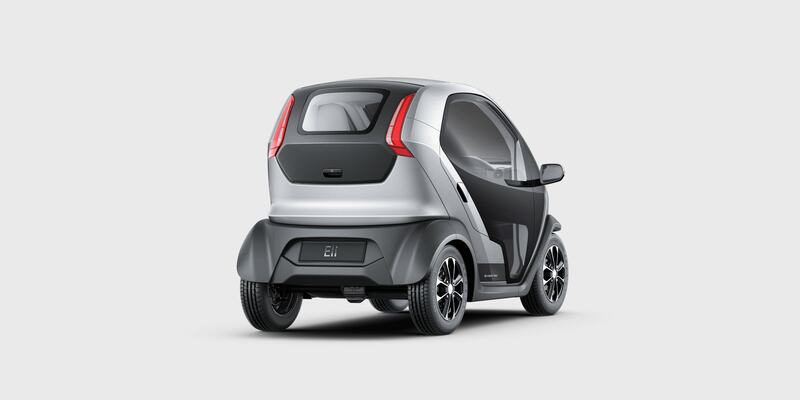 The Eli ZERO is the company’s debut model in its pursuit of moving the world toward a new era of efficient, sustainable and community-conscious transportation. The vehicle is street-legal and meets all requirements for the NEV category, a federally designed class of roadway passenger vehicles that can travel on roads with a speed limit of 35mph or less in both the US and Europe. “The market for affordable, fun and sustainable transportation options that benefit community development is clearly growing yet underserved, and we are filling that gap with the Eli ZERO,” commented Marcus Li, CEO of Eli Electric Vehicles. Eli Electric Vehicles is co-headquartered in California and China where the company’s vehicles are manufactured. It is dedicated to improving how people live by developing products with a focus on user behaviour and experience. The vision for Eli sparked in 2015 when CEO Marcus Li was studying architecture in New York and started to analyze transportation and the organization of cities. He began to understand that choice of transportation to get from place to place shapes the look and feel of those places: to reshape the image of urban America, he would need to reinvent the transportation system. Eli ZERO is the smaller, simpler and friendlier NEV not obsessed on speed or acceleration but focused on simplification of movements within relatively short distances to get riders from point A to point B. It aims to empower riders to reconnect with their neighbourhood and cities, and ultimately discourage sprawling and highway dependency. The vehicle is being introduced at a time when an influx of cities are investing in infrastructure to support Low-Speed Vehicles (LSVs) including NEVs. Eli ZERO reimagines the NEV and addresses the dynamic transportation demands of modern cities with a fully enclosed, temperature-controlled versatile two-seat design with storage for daily movements over shorter distances. Eli ZERO will be available as a L6-e class vehicle in the EU market later in 2019.